For Shin splints we use gold standard Shockwave Therapy which is one of the most advanced non-surgical and non-invasive treatment available for a wide range of stubborn conditions that are difficult to treat using a conventional treatment approach. Shockwave Therapy will preclude the need for steroid injections and invasive surgeries and enable rapid relief from tendon pain. The most common issue in the shin bone is shin splints. Shin splints is a term used to describe exercise-induced pain specifically along the front of the lower leg between the knee and the ankle (i.e. 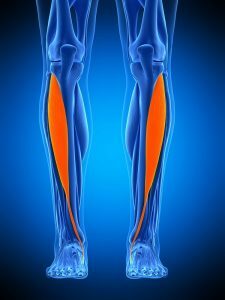 the shin or tibia) affecting the muscles called Tibialis Anterior and Tibialis Posterior. 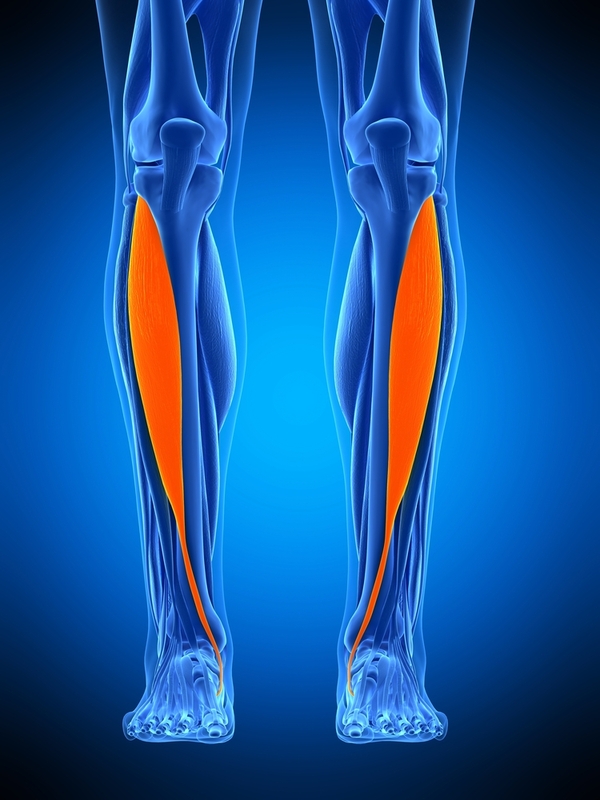 It is one of the most common presentations in the lower leg anatomy of people who frequently exercise or play sports. Typical pain is felt more after strenuous activity. Any activity, such as racket sports or where running in large component, will exert considerable biomechnical stress on your lower leg. This is particularly true if these activities are carried out on hard ground. These forces will ultimately cause considerable stress to the shin bone and it’s surrounding tissues. 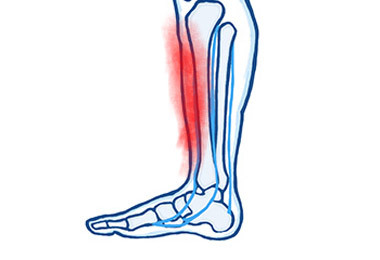 Damage particularly occurs to a layer of connective tissue that covers the surface of the tibia (called the periosteum) and this then becomes inflamed. The mechanism behind shin splints remains open to some debate because it is fundamentally a symptom of something else rather than a cause in it’s own right. There are however a number of recognised different contriburory factors such as overpronation (flat feet). This is when your foot’s arch collapses. Often it can also simply be the result of overuse and over-recruitment of the muscles immediate to the local anatomy. The key determinant to recovery is ceasing the antagomist activity for at least two weeks. The pain in your shins should then begin to diminish. During this period low impact activities should be possible, such as cross-training, cycling or swimming. Rest, Ice, Compression and Elevation (RICE) and anti-inflammatories (under your GP’s advice) are advisable. We will identify which soft-tissue structures are involved and any gait abnormalities that could improve your running biomechanics or helpful comments on your running shoe. Excerises are given and we compile a suitable programme of rehabilitation with a gradual phased return to activity over six weeks. We will also use Shockwave Therapy. Shockwave Therapy is one of the most widely researched rehabilitation modalities, with increasing numbers of scientific studies added each year.